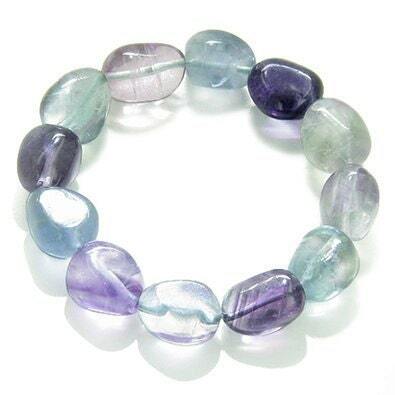 These Rainbow Fluorite crystal bracelets comes with chunky stones that are tumbled and smooth. Their shape are organic, rounded both in elongated and in chunky "boulder" shapes. Their vibrant colors radiate immense amounts of healing, calming and positive energy. Pretty bracelet,fast delivery, excellent transaction! I really love Cindy's stuff.